This document (eLibrary accession no. 20131004-5125) is Privileged. 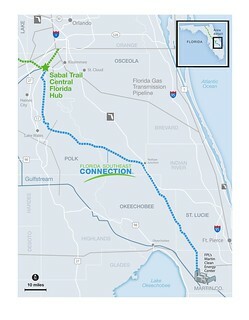 The latest posts about Florida Southeast Connection. I’m not sure how we haven’t realized yet that putting pipelines near waterways isn’t a good idea. The possibility of poisoning millions of people should be first in our minds, but taking native lands and destroying ecosystems should be appalling to anyone! Haven’t we taken enough from our native brothers and sisters! Preservation of our remaining native lands and our beautiful wilderness is more important than money!